How Far is Ashvar Manvitha? Manvitha By Ashvar At Arumbakkam, North . 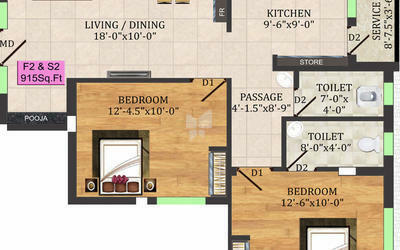 It Offers 2 And 3 Bhk Residential Apartments Area Ranging 915-1225 Sq.Ft. With Price Per Sq.Ft. From 9500-9500. 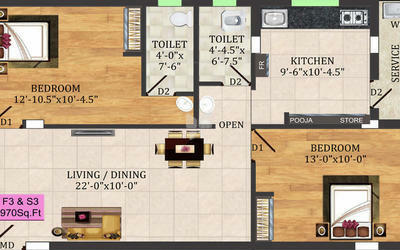 The Project Offers World Class Residential Units With Top Line Specifications. The Project Enables Easy Connectivity To All Points Of Interest In And Around City. 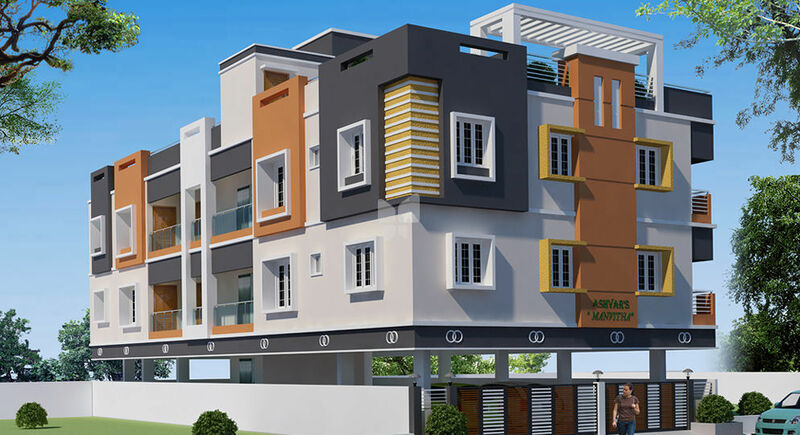 Manvitha Apartments Are Located At An Excellent Locality Of North . Which Is Much Far From The Hasty Tones And Fuzziness Of The City. With Bizarre Hi-Tech Specifications Of Quality Construction And Architectural Designs, You Can Be Sure Of Loving The Place Where You Would See Your Bright Future. The Facilities Provided Are Top Of The Line Matching Your Desire For A Perfect Home As Power Backup, Car Parking, Lift Available, Paved Compound And Borewell Which Invite You To Discover An Exquisitely Sublime World Of Refined Indulgences For The Rare Few Who Have Carved Their Own Niche In The Upper Echelons Of Society. Building Structure R.C.C. Framed Structure. Flooring verified tiles (size 2x2) (plain) flooring laying in all floor areas. Kitchen Platform 2’-0” wide cooking platform finished with Granite slab with stainless steel sink above kitchen platform wall tiles dado up to 2’-0”. Doors & Windows All internal doors are country wood frames With flush shutters(Commercial). Toilet doors are P.V.C. frame with shutters Main Door T.W. frame with teak wood panel Shutters. Sanitation and Plumbing Parryware I.W.C in common toilets, E.W.C.in attached toilets. All internal pipelines are concealed, outside pipelines are open with chromium-plated Metro fittings. Weathering Course In terrace all round 3’6” high 4½” thick Parapet and weather proof with clay tiles. Electrical Work Concealed Finolex or Orbit copper wiring with Modular switches, 2-light point, 1-fan point in bed room, in hall 4-light points, 2-fan points ,1-5 amps plug points 1-15 amps plug Points in Kitchen and toilets. General Notes If you do any changes or modifications in Your part, you have to pay extra cost for that change before starting the work. EB Connection The flat shall have a 3 phase connection. Bore well 1 No of 90’-0” deep or water supply for common to overhead tank. Sump 12000 liters capacity for sump (common to all flats). Water 1 No over head tank (common to all flats) Capacity of 8000 liters. Lift One Lift will be provided.